We choose to read books for many reasons. Sometimes the cover art speaks to us from the shelves of a local library or book store and we feel the need to take that book home. We may chose our books based on reviews read in Bookmarks Magazine, the book review section of the local newspaper or even because we read a fabulous review here on Planet Books. LOL! 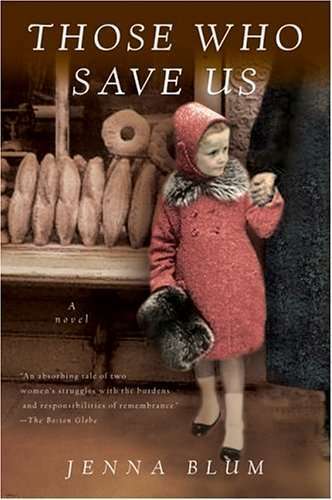 Well I chose to read Jenna Blum’s haunting novel, Those Who Saved Us, for a fairly unique reason. The main character has the same last name as I had till I got married in 2004. Those Who Saved Us is a story about a woman named Anna who finds the Nazis invading all aspects of her hometown of Weimar, Germany and putting it on the map due to its geographical relation to Buchenwald concentration camp. Anna’s father is a terrible parental figure, making Anna’s life miserable and difficult as her sole purpose becomes the huge job of handling every need of his and their home. She finds relief in the friendship with “The Good Doktor”, Max Stern, and eventually the forbidden love that grows out of their chess games and conversations. Max is a Jew and the risk of even talking with him is deadly. Eventually, fear for Max’s life due to his association with The Resistance pushes Anna into action and she hides him in the walls of his father’s house. Of course, as happened all over Europe in the late 30’s and early 40’s, Max is discovered by Anna’s father and shipped off to the Gestapo. This is the catalyst for Anna and she quickly leaves her childhood home and becomes apprentice to a local baker and spy for The Resistance. Well folks, that is just the beginning of this enrapturing and memorable book. The book jumps from WWII Germany to mid’90’s Minnesota and back again. In Minnesota, Anna is an elderly, secret filled woman who has just lost her husband and has a stressed relationship with her middle-aged daughter Trudy. Trudy is a professor of German history at a university in Minneapolis. She joins a fellow professor on a project that finds her locating Germans in the area who survived WWII in Germany by any means possible and recording their stories. Little does she know what one of her interviews will disclose about her own mysterious path and the ways her mother made it possible for the two of them to survive during one of this planets most hellish periods. The drama and stories that emerge from Those Who Saved Us will stay with me forever. 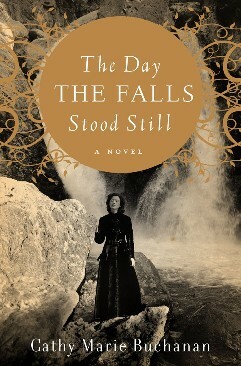 I have said before that I think it is very important for these historical fiction novels to find a voice. They may be fiction but they are based on fact and in the case of Those Who Saved Us, Jenna Blum completed a great amount of research thanks to Steven Spielberg’s Shoah Foundation. Those Who Saved Us reads like a drama and horror story at times but provides a lesson in history and how you can never truly escape your past. I recommend this book to anyone who enjoys the historical fiction genre but warn you that there are some stories within that will cause your jaw to drop and your stomach to turn. 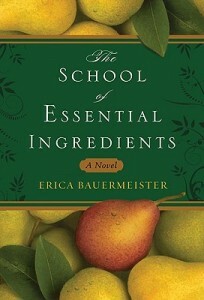 I really looked forward to reading Two Years, No Rain when Lisa at TLC Book Tours invited me to read/review it. I loved the idea of a story written by a man about a man with real issues that if it were written by a woman about a woman would be considered chick lit. I was not disappointed at all with Shawn Klomparens novel. His protagonist is Andy Dunne and we meet him when he is newly divorced and working as a forecaster for a satellite radio station. He likes his job fine but finds his love life is what keeps him up at night. Actually it’s a secret, fantasy ridden love life with a pretty and witty Chinese-American woman named Hillary Hsingwho works for another company on the property. She is in a suffering and failing marriage and, in my opinion, really teases the hell out of dear Andy. Grrrrr. After fullfilling Hillary’s request/suggestion to audition for a childrens T.V. show and actually getting the job and much much more, things start to really take off for Andy and his story. Things with Hillary get a bit heated and more public and we learn more about Andy and his family. He really is a lovely, charming and likable character and one of my favorite’s in a long time. I didn’t care for Hillary and her yo-yo actions towards Andy but things did get interesting from the reader’s point of view for them. The last part of the book was cool to read because Andy and Hillary go to Hong Kong on a business trip for Andy’s show and with two company paid plane tickets, really how could they not go together. Having visited Hong Kong twice now and experiencing category 3 and 5 typhoons while living in Okinawa, I thought the descriptions of both the storm and Hong Kong and it’s surrounding territories was great. I’m curious if the author, Shawn Klomparens, has ever been to Hong Kong himself. I could easily envision the landscape and buildings in my minds eye while reading about Andy and Hillary’s crazy trip. All in all, I enjoyed Two Years, No Rain and highly recommend putting it at the top of your TBR (to be read) stack. You can check out Shawn Klomparens’ web site and learn more about him and Two Years, No Rain HERE. You can also check out the rest of the TLC Book Tour for Two Years, No Rain HERE and see what they have lined up for the rest of this month. Summary ~ Belong to Meby Marisa de los Santos ~ Cornelia Brown surprised herself when she was gripped by the sudden, inescapable desire to move to the suburbs with her husband. Her mettle is quickly tested by her impeccably dressed, overly judgmental neighbor Piper Truitt—the embodiment of everything Cornelia feared she’d find in suburbia. With Lake, another recent arrival, Cornelia shares a love of literature and old movies—as she forms an instant bond with this warm yet elusive woman and her perceptive, brilliant young son Dev. Acclaimed bestselling author Marisa de los Santos’s literary talents shine in the complex interactions she creates between three unforgettable women, deftly entangling her characters in a web of trust, betrayal, love, and loss that challenges them in ways they never imagined. I LOVED THIS BOOK! I knew by the time I was half way through it that it was going to get a 5 out of 5 rating and that feeling continued on till the end. If you were a fan of Desperate Housewives before it went over the edge into absolute absurdity, than Belong to Me will quench your bibliophile thirst perfectly. Like when I read Elizabeth Noble’s The Reading Groupand Jennifer Weiner’s Little Earthquakes, I loved going “in for a visit” with the characters of Belong to Me and now that the last page has been read I miss them already. Now I haven’t read the prequel to this book, Love Walked In, but I didn’t feel that I was missing anything because of that. Belong to Meis told from the point of view of three characters. Cornelia, along with her husband Teo, is the newest member in a neighborhood just outside of Philadelphia. Cornelia finds out that when you are the new kid on the block, it might be difficult to find your niche and fit in. That is proved true by another neighbor and fellow narrator, Piper (nick named Viper by another character). Piper is in total control of her life and surroundings, or so she thinks. She discovers that her husband isn’t happy and spends a good portion of the book caring for her best friend, Elizabeth, who is dying from cancer. The third narrator is Dev. A fourteen year old boy who’s mother moved them across the country to this new area where they meet Cornelia, Teo and their pseudo-daughter, Clare. Dev was a very interesting character with his scientific and poetry loving mind. His story line is full of anxiety, mystery and discovery. I can’t even start to tell you my favorite parts of this book because the whole thing was so great. If you want a juicy, drama filled, funny and fantastically written book to read, than I must recommend Belong to Me! Mistress of the Sun is a lush, engulfing and entirely entertaining example of historical fiction in it’s finest form. From the very first page I was drawn in and have enjoyed my visits (reading time) to seventeenth century France. Sandra Gulland has done it again. Having read her Josephine Bonaparte series years ago, I was extremely excited to receive a review request form Gulland’s “virtual assistant” for her newest novel, Mistress of the Sun. I was not disappointed in the least. Gulland introduces us to “Mademoiselle Louise-Francoise La Baume Le Blanc de la Valliere” but known as Petite for short. She is the daughter of a nurturing, book loving father and a realistic mother who worries about the future and looks down upon dreaming and stories. When Petite is a young girl, she goes with her father on an errand trip when she stumbles across the a beautiful but wild and dangerous white stallion named “Diablo.” When Petite’s father brings this horse home for the family, and especially Petite, life is never the same again. After a few years of not speaking and studying at a convent, Petite recovers from her silence and is soon thrust into the world of the French royal family and discovers a love greater than any she has ever had and ever will as the mistress to King Louis XIV, the Sun King. Petite’s friendships and experiences at Court ensure great reading. I really enjoyed this book. There is plenty of drama, character detail and wonderful descriptions in Mistress of the Sun. Reading three pages felt like I had read twenty because there is just so much detail and story in every line. If you are looking for a book to take you away this summer, Mistress of the Sun is the perfect book. PB – Being familiar with your Josephine Bonaparte series and now Mistress of the Sun, I am curious about what draws you to these historical French figures? 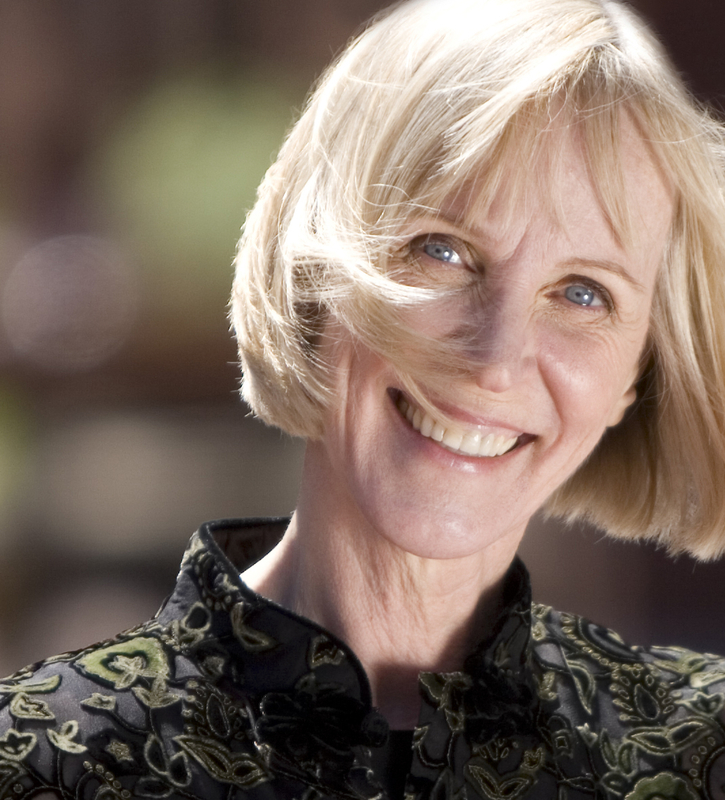 Sandra – I was drawn to Josephine because her extraordinary life had been foretold. This still astonishes me. 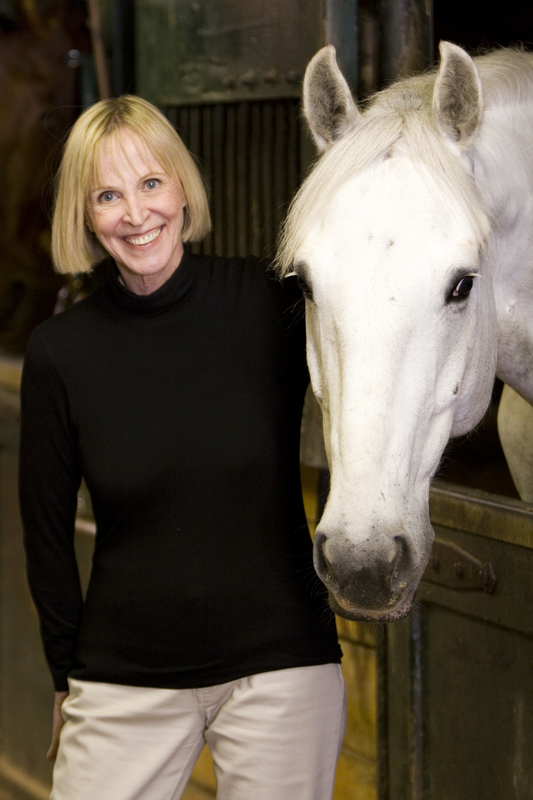 As for Louise, of Mistress of the Sun, I was intrigued by her extraordinary horsemanship. She was described as timid, a wall-flower, and yet she became a devil on horseback. This fascinated me. PB – When researching for your books do you start with a plot idea? 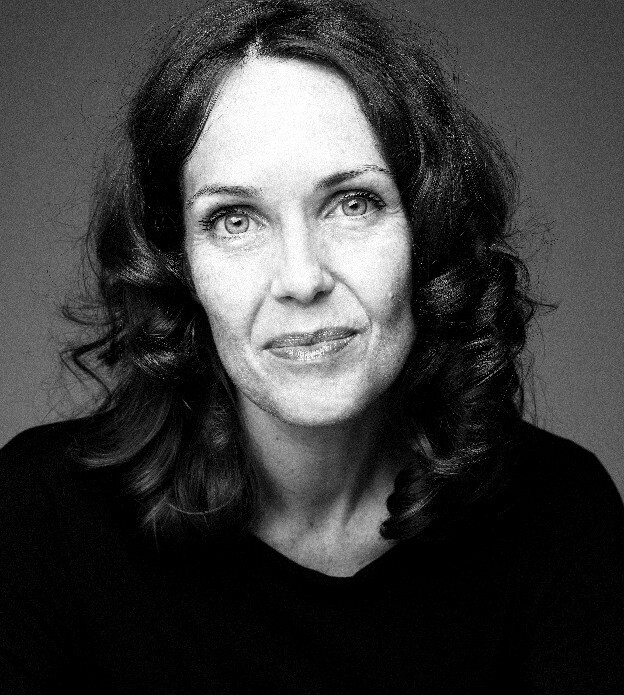 Sandra – I begin with an interest in the character, and then, in closely examining the facts of that person’s life, I begin to get an idea of a plot. PB – Have you ever come across something you didn’t know about that caused your story to change completely? Sandra – With every research trip I make, I have to revise completely! When I started the Josephine B. Trilogy, I assumed that everything I read about her was true. (Novice that I was about historical research.) I struggled writing the second book (Tales of Passion, Tales of Woe). How could a good mother, a good person, do the things historians claimed? (And how, as a novelist, was I going to get the readers to believe it? A novel, unlike life, has to be credible.) Consulting with the French experts at Malmaison, I learned that “the facts” were incorrect. This caused me to change my story, but it also made the story begin to make more sense. The most pleasant surprises are ones that make a story better. (Warning: spoiler!) Well into writing Mistress of the Sun, I read in a footnote in the Bastille Archives that Louise’s good friend Nicole ended up at the same convent as Louise. I’m now working on a detailed scene-by-scene plot (a blueprint, I like to think of it) of my next novel. It’s forcing me to do deep research at the start and I’ve already run into a number of surprises! Fortunately, a “blueprint” is easier to revise than a full draft. PB– In the beginning of Mistress of the Sun, Louise comes upon a dangerous and stunningly great horse named “Diablo.” The relationship between girl and horse has a mystical sense about it. Do you believe in magic and miracles yourself? Sandra – I don’t, as a rule (but I don’t count them out, either). Louise would have believed in them, however. 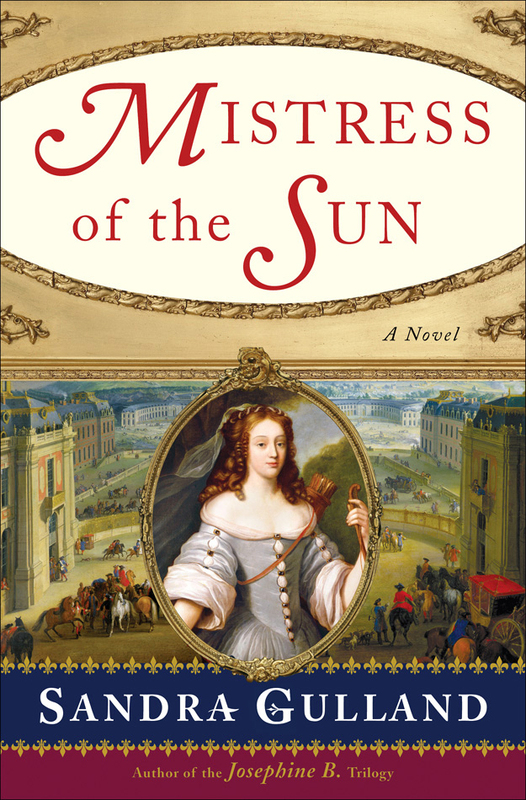 PB– Besides Louise de la Vallière, which character in Mistress of the Sun was the most fun and exciting to write? What kind of connections do you feel when writing life into your characters? Sandra– I really love Clorine, Louise’s maid. (Whose name, in real life, really was Clorine.) I love that she’s so tough, and no-nonsense, and yet often fainting. PB – With The Tudors mini-series, and historical fiction genre films like The Duchess, Marie Antoinette and numerous others, do you wish to see either the Mistress of the Sun or the Bonaparte series go the same route? Sandra– Yes! 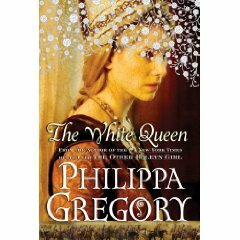 The Josephine B. Trilogy is now under option; the producers are looking into developing a mini-series like The Tudors. As for Mistress of the Sun, a producer is looking into making it into a movie. I’d love to see these come about. I think the Trilogy would make a wonderful mini-series, and Mistress a fantastic movie. I just hope it comes about in my lifetime. Movie-making is extremely complex: I think it’s a miracle (note: miracle) that any are ever made. PB – So far have you enjoyed your book blog tour for Mistress of the Sun? Do you think that this way of reaching readers is beneficial for you as an author and for the publishing industry? Sandra– A Blog Tour is excellent, given how difficult travel has become. I’ve been enjoying it. The response has been overwhelming. Thank you for having me on Planet Books! 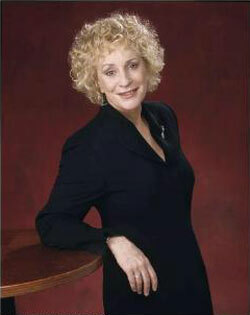 To learn more about Sandra Gulland and her novels, be sure to check out her website HERE. Sandra is in the middle of her blog tour for Mistress of the Sun. To find out where she has been and will be in coming weeks and months, check out her schedule HERE. Sandra and her publisher, Simon & Schuster, are generously providing a copy of Mistress of the Sun, which was recently released in paperback. To enter to win Mistress of the Sun leave a comment including the title of your favorite historical novel on this post by Wednesday, May 6th at Midnight EST. Good Luck!